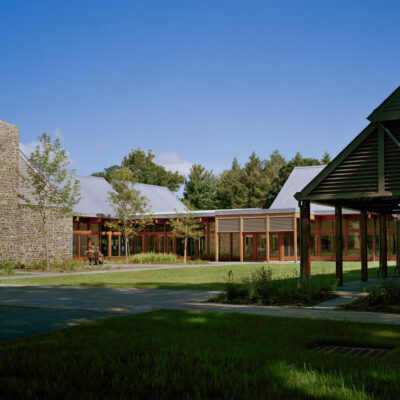 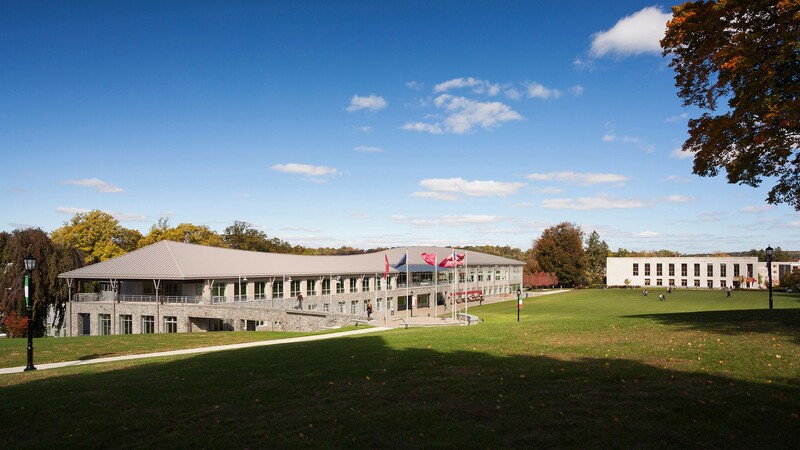 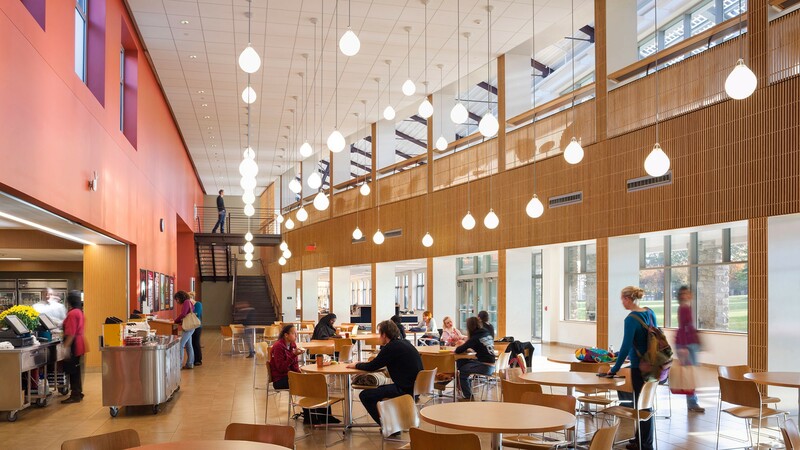 Arcadia Commons is a living room and gathering place for this campus of over 4,000 students in a suburb of Philadelphia. 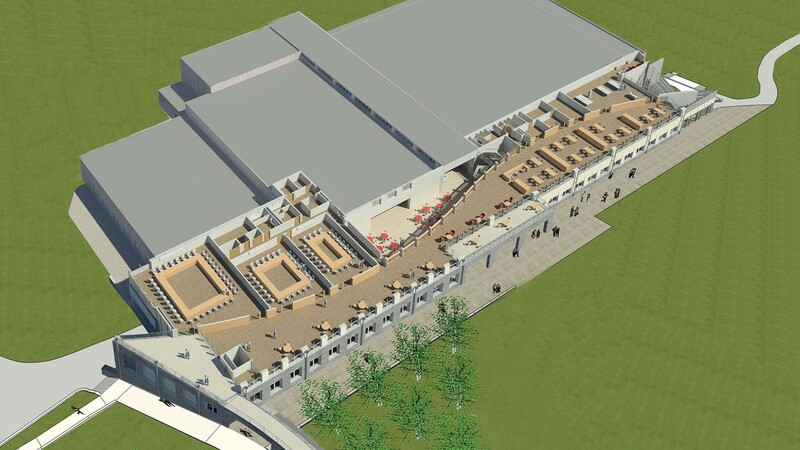 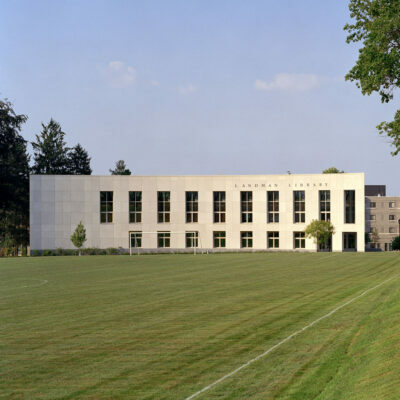 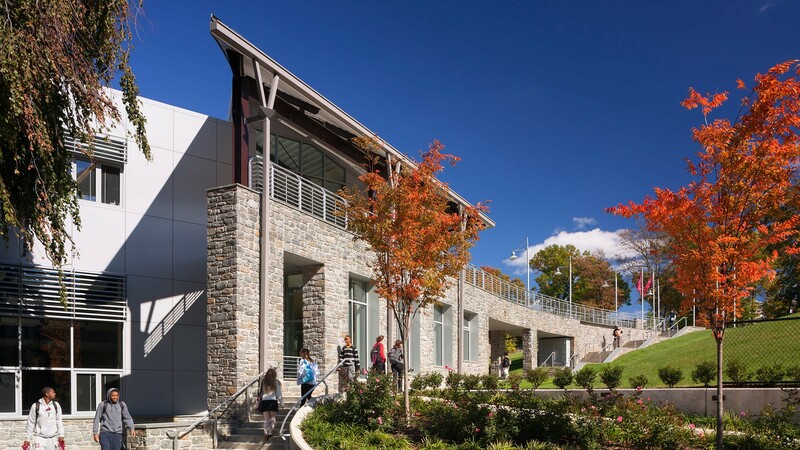 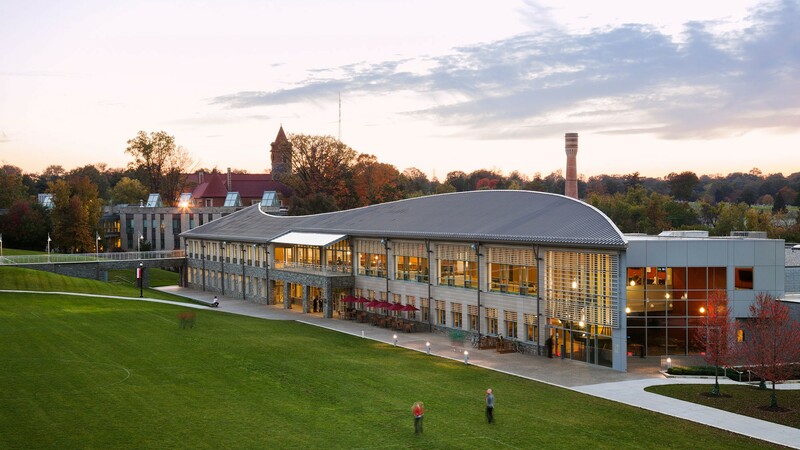 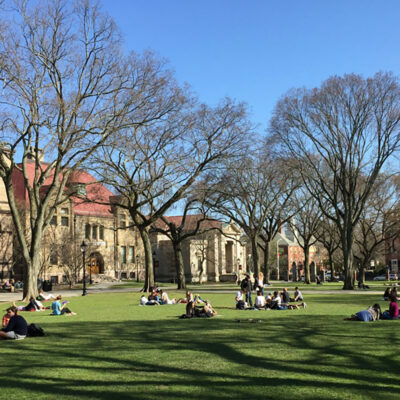 The Commons provides a new face for the Athletic Center and completes the grouping of buildings on the campus green, linking historic Grey Castle and Landman Library. 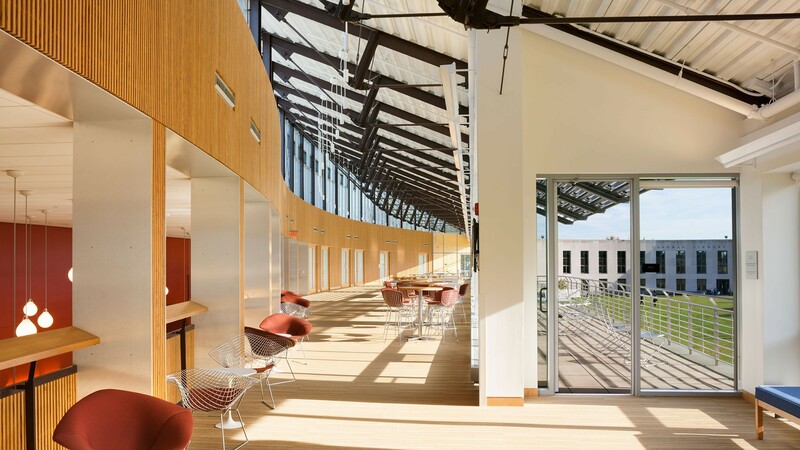 It includes a café, fitness center, and meeting rooms, lounges and multipurpose spaces to accommodate groups of varying sizes. 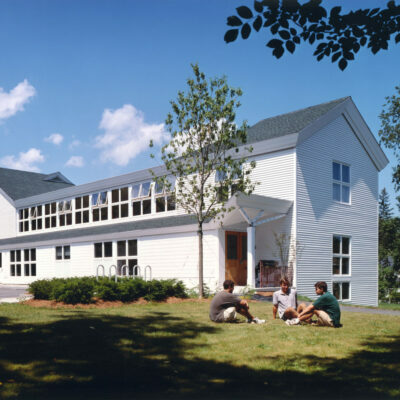 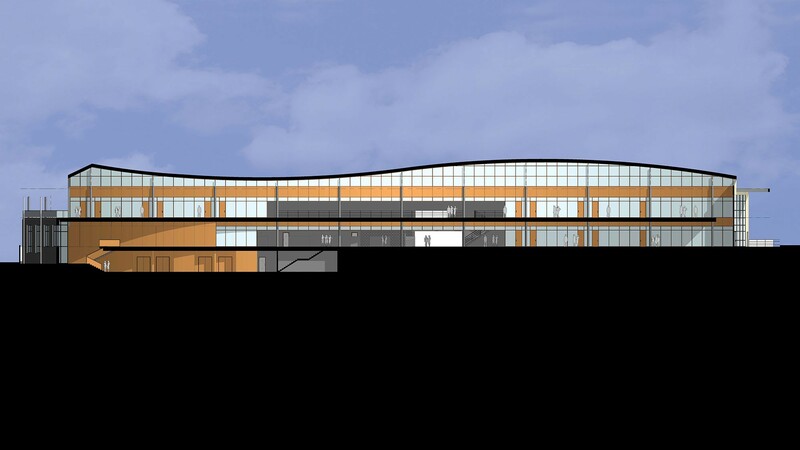 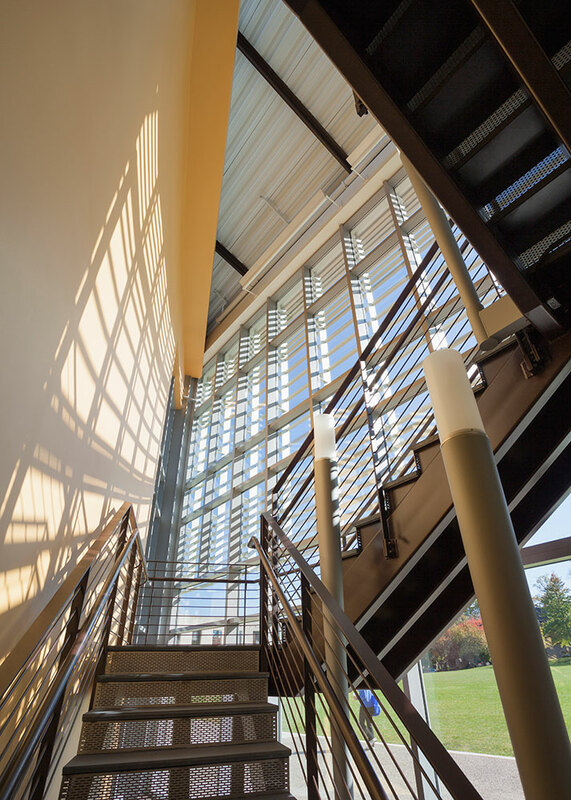 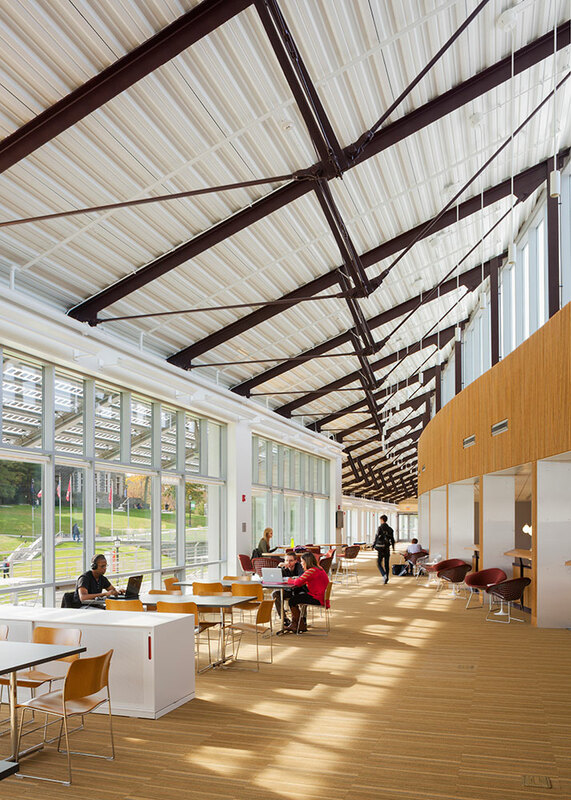 Clerestory windows for natural ventilation, solar panels on the roof, and geothermal wells under the campus green minimize reliance on outside energy sources.